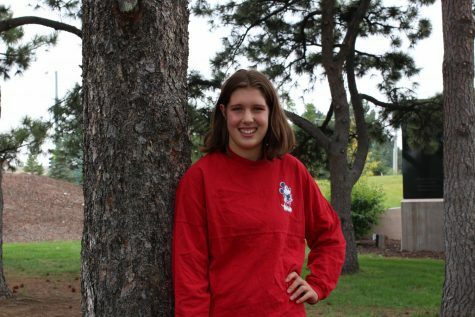 Amelia is a sophomore at Arapahoe High School. She’s been an avid reader of the Herald and this will be her first year on staff. Outside of school she loves to play volleyball and is on the Junior Varsity volleyball team. Her favorite book is the Mysterious Benedict Society though she loves any book and is never up for a discussion about her height. She hopes to attend a university on the west coast because she loves the ocean and enjoys long walks on the beach with french fries.